We have recently changed our delivery areas. Please search your suburb below to see when we deliver to your area. 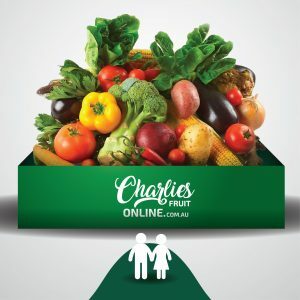 Charlie’s Online Store offers fresh fruit and vegetables delivered straight to your door. Home delivery is available Monday – Saturday depending on your area. Check your postcode below to see which days we deliver to you! Our pre-set value boxes (excluding the “ugly” box) are free-delivered, however there is a small delivery charge if you are buying individual items in our online store. Our cut-off time for next-day delivery (provided we deliver to your area that day) is 12pm (midday). You do not need to be home to accept your goods. The box will be left in a safe location outside your house – simply let us know the best place in the delivery instructions. Charlies offers a 7 day quality guarantee on its produce if stored properly. Don’t hesitate to give us a call on 0490 364 541 or email us at [email protected] for further enquiries.